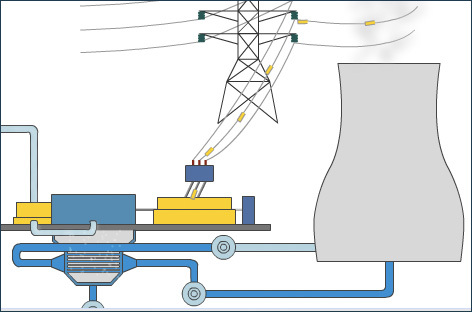 The animation below shows how electricity is generated in a nuclear power station. The Uranium fuel rods are inserted into a large mass of moderator and are arrange in the reactor core to form the fuel assembly. The moderator slows the neutrons down so they interact more strongly with the Uranium-235 nuclei. The fission reaction is regulated using cadmium control rods which absorb neutrons. The reactor core is housed in a reactor vessel constructed from steel 20 – 25 cm thick. 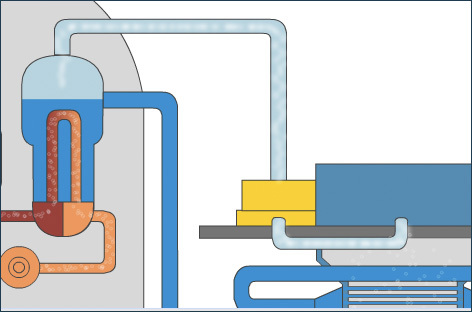 Coolant (either water or carbon dioxide at high pressures to prevent boiling) flow through the reactor core. Heat generated by the fission reaction is transferred to the coolant and removed from the core. 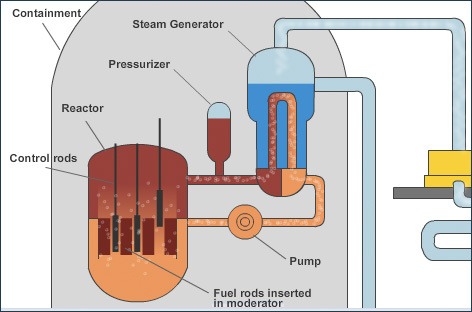 The coolant then flows through a boiler where it transfers the heat from the reactor to water thereby generating steam. 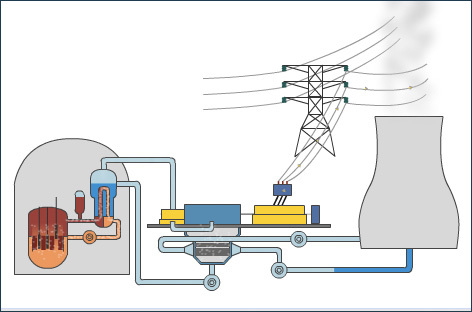 The high pressure steam produced at the boiler is forced through the steam turbine. The steam turns the turbine blade which drives the turbine shaft. The generator is housed around the turbine shaft. 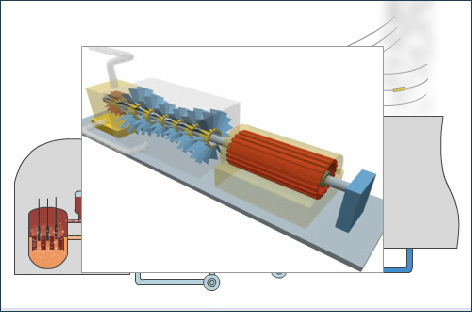 A powerful electromagnet mounted on the turbine shaft produces electricity in the generator windings as it rotates. 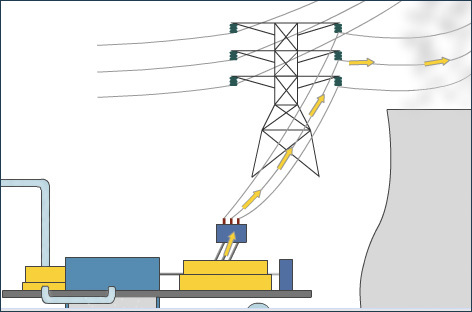 The generated electricity goes to a transformer where the voltage is increased and transmitted along pylons. The steam from the turbines is cooled in a condenser. Here it passes over a maze of pipes containing cold water sourced from a nearby water supply such as a river. The steam condenses to water and recycled back to the steam generator. The water in pipes sourced from the river is no much warmer after gaining heat from the steam and is cooled in a cooling tower.